New Year’s Eve is getting near, and with it, parties. 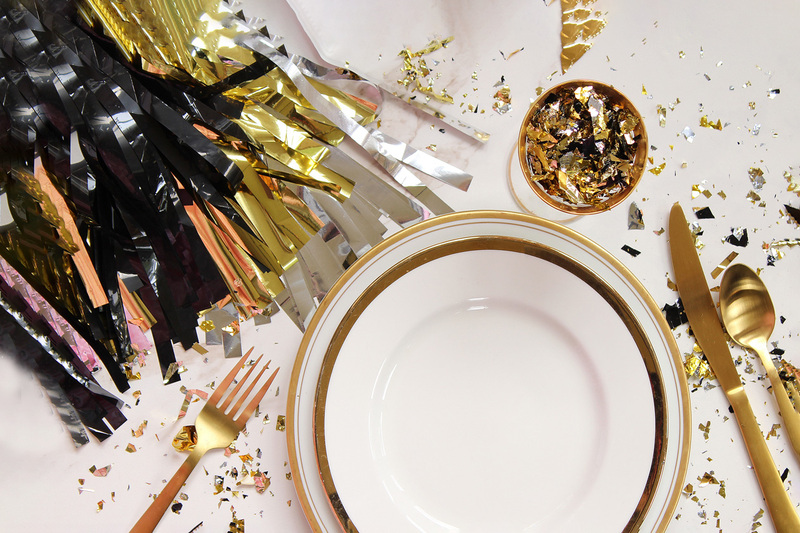 Ring in the New Year without busting your diet with these healthy New Year’s dishes. If your New Year’s resolution is to lose weight in 2018, don’t kick off the new year with unhealthy party snacks. Try these healthy alternatives! Whether you’re hosting a few close friends or the neighborhood, there’s a good chance you’ll be ringing in the New Year at a party. Usually, the popular treats will be finger foods, not entrees, since you’ll be up mingling with guests. Instead of hearty Christmas dinners, think dips, chili, sweets. Local pizza joints will be on speed dial! If your New Year’s resolution is the traditional “lose weight,” get a jump on it by enjoying a few healthier snacks. Spinach Artichoke is a classic combination when it comes to dips. It’s cheesy, savory, and rich. This dish is surprisingly easy to make healthier. Spinach, the favorite food of Popeye, is famously great for you. For their part, artichokes are rich in antioxidants and many nutrients. The most difficult part is pairing down the calorie count since cheese and dairy are prominent ingredients. Luckily, we’ve worked with cheesy tweaks before. Calling on some old tricks, we’re able to deliver an easy, set and go crock pot dip that won’t break your diet. Drain and dry the artichoke hearts. Chop hearts into bite-sized bits. Mix the ingredients in a casserole dish, except the extra cheese. Bake for 20-25 minutes, or until the dip is heated through and the cheese on top is melted. Additionally, you can make this recipe in a crock pot. Mix the ingredients in the crockpot and set the heat to High. Stir occasionally and turn to warm after the dip is heated through, which would be roughly 2 hours. So, admittedly, we cheated a bit here. Not only is this recipe a bit of a dessert, these New Year’s Eve party-themed jello shots pack a hidden punch. These champagne-flavored jello treats are low in sugar, fat-free, but sweet with a load of flavor. Just do yourself a favor, and don’t eat the whole tray yourself. These jello treats will sneak up on you! Combine 1 ½ cups of champagne, ginger ale, and sugar in a saucepan. Sprinkle the gelatin over the mixture and let it rest for 2 to 4 minutes. Heat over low, and stir the gelatin is fully dissolved. Remove from heat. Stir in the rest of the champagne and the vodka. Spray a casserole dish with nonstick cooking spray. Pour mixture into the dish and refrigerate until firm, roughly 2 hours. If you really want to take your champagne jello to the next level, give this beautiful recipe from The First Year a try. If you’re looking to keep some of the foods at your party traditional, you can’t look past pork and sauerkraut. We’ve previously covered how incredibly healthy sauerkraut is for you, and this dish doesn’t pack on many extra calories. In the pork, you get a healthy dose of protein, and the potatoes are filling and can help reduce inflammation, among other benefits. If you choose to shred the pork, you can serve it in a bowl or on a sub roll. You may just want to cook this in the garage since sauerkraut is well known for its potent scent. Shred the pork and serve!